While we might debate on counting hat #2 in this list (obviously a very informal piece, worn to a football match), Mary has so few red pieces in her wardrobe that I thought it warranted inclusion. While the first hat seems to be Mary’s favourite (with seven public outings so far), I have always had a soft spot for the third headpiece which is the most glorious colour and frames Mary’s face so beautifully. I’ll admit- this is not the most exciting group of royal red hats which is unfortunate, as Mary wears red so very well (I’d love to see her pick up this raspberry straw design from her go-to Danish milliner, Susanne Juul) Do any of these pieces strike your fancy? Don’t worry, dear readers. We have a few more royal hat wardrobes to peek inside this month and there are some marvellous red designs that await us. Stay tuned! This entry was posted in All About Design, Denmark and tagged Princess Mary. Bookmark the permalink. I vote hat number 1 for the win! The next best is hat 3. I wonder why she doesn’t wear more red hats, because red looks great with her colouring? 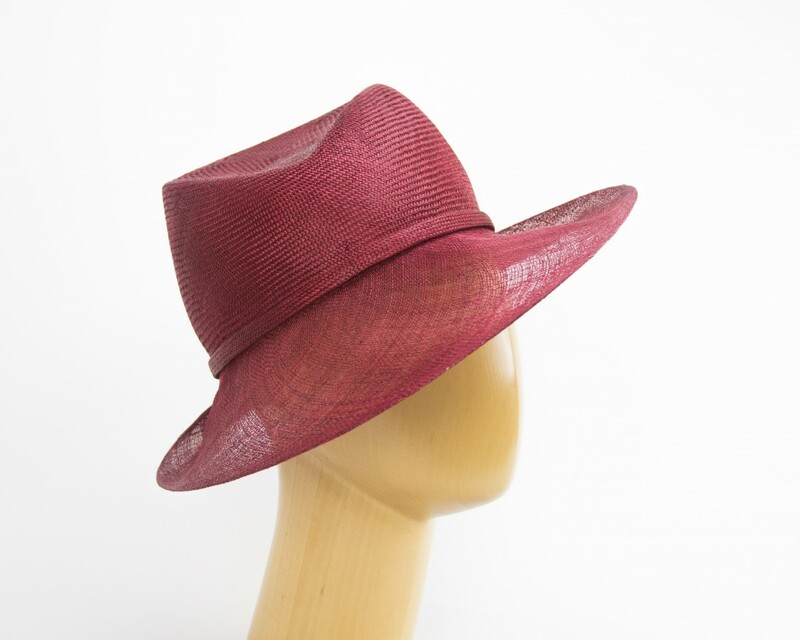 i love the Susanne Juul raspberry hat in HatQueen’s link and I think it would be perfect for Crown Princess Mary. I can’t believe Princess Mary has so few red hats. The ones she has look great. Red is such a fabulous color for her, I am shocked at only three! All are lovely on her, and I agree-the raspberry straw would be divine. I love this Philip Treacy hat for Mary, especially in the photos selected; her chignon hairstyle fits perfectly with it and creates a wonderfully balanced look! The color is also very flattering. The second one is fine in terms of shape, but the color and fabric really scream “cheap” to me unfortunately. The third one is ok and I love the color, but I’ve never warmed to the casque style. She definitely needs to incorporate more crimson and burgundy into her hat inventory. I’d personally like to see either this Treacy piece (http://www.philiptreacy.co.uk/collection/OC-957) or this Louise Green portrait hat (http://www.louisegreen.com/collections/spring-summer-2016/products/0991gcsp_scr) on her. I am with you Jake. Those 2 hats are stunning and she suits red so well. I think I like the third hat on Mary best of all….Very pretty hat framing a very pretty face! The first hat is such a lovely red, but wish the hat were a little bit lower on the crown. It seems a bit tall for Mary who seems so petite. The first hat with her hair done in that beautiful chiffon works so well for her. Everything is perfection! 3<3. The second hat is perfect also for the occasion. 3 <3. The third hat is not my cup of tea. It looks plastered on her head to me. I love to see the different ways she wears no 1, but no 3 is my fav! I love the first hat. She wears it well. For us who are new, how would you classify the third hat? Didn’t you do a recent post on this style. From the front, hat #3 looks like a casque hat but in reality, it’s a headband style headpiece. Number one is so elegant and looks wonderful with CP Mary’s loose chignon. (Wish Duchess of Cambridge would wear more hats like this and up style her hair more often). The raspberry straw you refer to, HQ, would be a very good addition. With her gorgeous ruby jewellery you would think Mary might wear red more often. It is a colour that looks very good on her with her dark hair. I really like the third hat too. It is similar to the hat she has worn at the baptisms of her children. A most becoming style on her. I really like the first hat! It’s so beautiful! I hope you do Queen Máxima’s red hats, she has some lovely red ones in her wardrobe!